SOUTHERN CALIFORNIA (ANS — March 8, 2017) — Before he retired from racing and became a broadcaster, NASCAR driver Darrell Waltrip was one of the winningest drivers in the modern era. For a time, he was also one of the most unpopular drivers — someone people loved to hate. 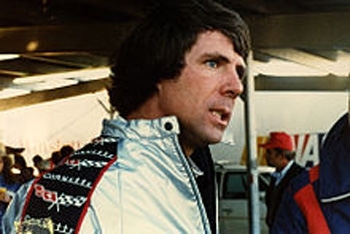 Waltrip also liked to argue with the officials at NASCAR. “I didn’t like the rules, mainly because they never worked in my favor,” he said. “Well I’ll just keep on praying,” she replied. Photo captions: 1) Winning the Daytona 500. 2) The 1983 crash. 3) Mark Ellis. About the writer: Mark Ellis is Senior Correspondent for the ASSIST News Service (www.assistnews.net), and is also the founder of www.GodReports.com, a website that shares testimonies and videos from the church around the world to build interest and involvement in world missions. Previously, Mark co-hosted a TV show called “Windows on the World” with ANS Founder, Dan Wooding, aired on the Holy Spirit Broadcasting Network (http://hsbn.tv/), which is now co-hosted by Dr. Garry Ansdell, Senior Pastor of Hosanna Christian Fellowship in Bellflower, California. ** You may republish this or any of our ANS stories with attribution to the ASSIST News Service (www.assistnews.net). Please also tell your friends and colleagues that they can have a complimentary subscription to our news service by signing up there. Mark Ellis worked in the commercial real estate industry before he answered a call into full-time Christian ministry. For 9 years, he served as Asst. Pastor at Church by the Sea in Laguna Beach. He began writing about the church around the world in 1999 with the assistance of Dan Wooding of ASSIST News. After a mission trip to the southern Philippines in 2004, God gave him the vision for the God Reports website, which supports and encourages Christian Missions. He also serves on the board of Morning Star News.